See the style of the beautiful Case Study Homes on the web! 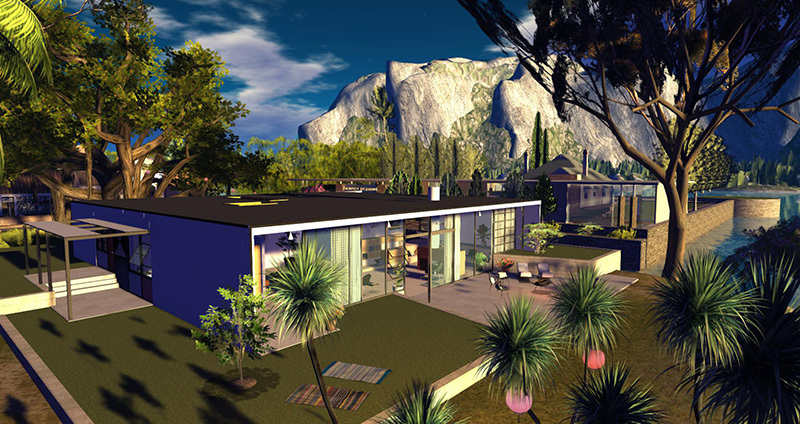 Our visit to the homage to the post World War Case Study Houses, with two of them being recreated in Second Life by the talented designer Painter Meriman is now on the web! Painter has created homages to two of these houses (both of which still exist in Pacific Palisades), the Entenza House (Case Study House No. 9) and the Eames House (Case Study House No.8). We will be looking at the buildings, and talking about the background to the Case Study Houses project – as well as taking a look at how this has inspired Painter’s latest home. 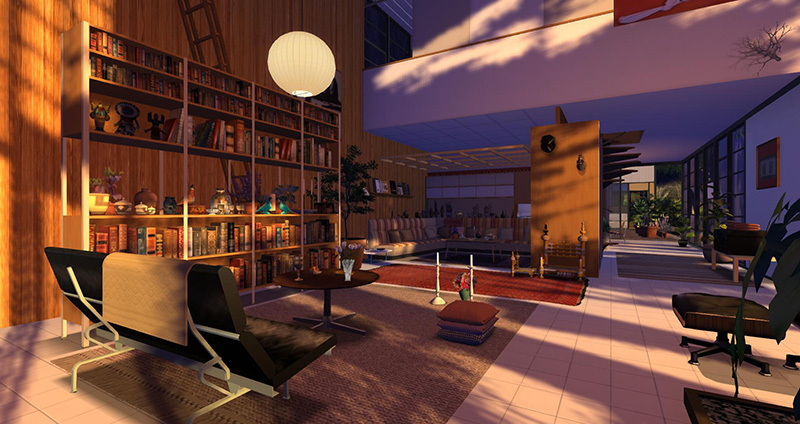 If you wpould like to learn more, you can see a short film made by the Eames family here. Next Post: Are you looking forward to Cake Against Cancer?